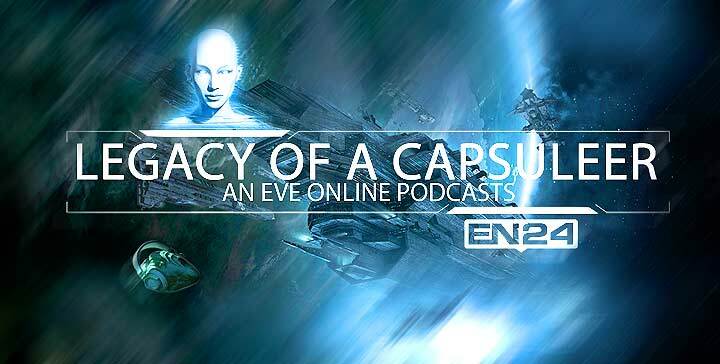 As promised I deliver to you the next episode of Legacy Of A Capsuleer Podcast where I have a chat with Axloth Okiah, one of the primary diplo’s of Sleeper Social Club [SSC] and of one of the bigger and better known WH alliances currently in Eve Online. Sleeper Social Club was part of the invading force against Surely You’re Joking [HAHA] and evicted their remaining WH corporations them from their c6 wormhole and Axloth Okiah joined me for his perspective and to talk a bit about what has happened from their side of the fence. Enjoy and stay tuned for the next episode and I promise to have some really entertaining and interesting content coming up. You completed several fine points there. I did a search on the issue and found most folks will have the same opinion with your blog. I have a blog with blogger. I have registered my blog using a gmail account. Now, I intend to utilize a new gmail account and also I wanted to import my entire blog site together with the posts and remarks to this new gmail id … Please tell me, is this feasible as well as just how can it be done?. I do agree with all of the ideas you’ve presented in your post. They’re really convincing and will definitely work. Nonetheless, the posts are very brief for novices. May just you please lengthen them a bit from next time? Thank you for the post. I loved as much as you will receive carried out right here. The sketch is attractive, your authored subject matter stylish. nonetheless, you command get got an impatience over that you wish be delivering the following. unwell unquestionably come further formerly again as exactly the same nearly a lot often inside case you shield this increase. Its like you read my mind! You appear to know so much about this, like you wrote the book in it or something. I think that you could do with some pics to drive the message home a bit, but instead of that, this is excellent blog. A fantastic read. I will certainly be back. Great amazing issues here. I¡¦m very glad to peer your post. Thank you so much and i’m having a look forward to contact you. Will you kindly drop me a mail? Leave a Reply to small business loans Click here to cancel reply.